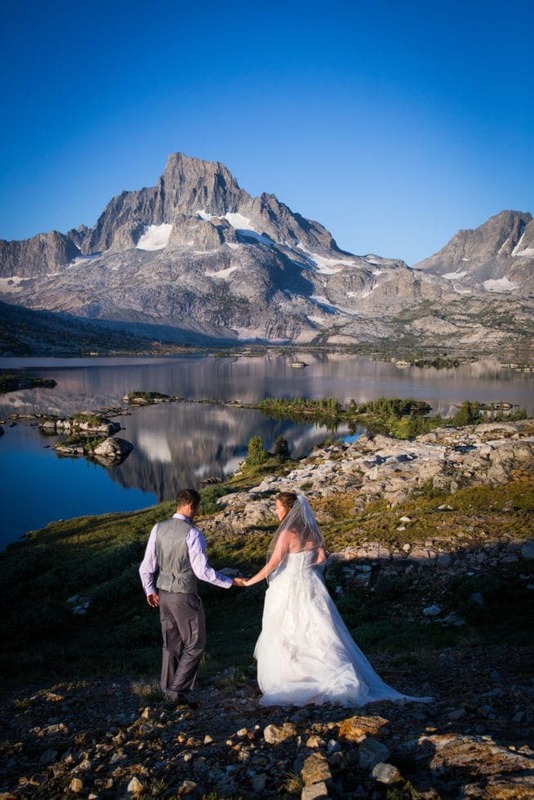 If you asked me what my favorite all-time wedding was – this right here would be in the running! 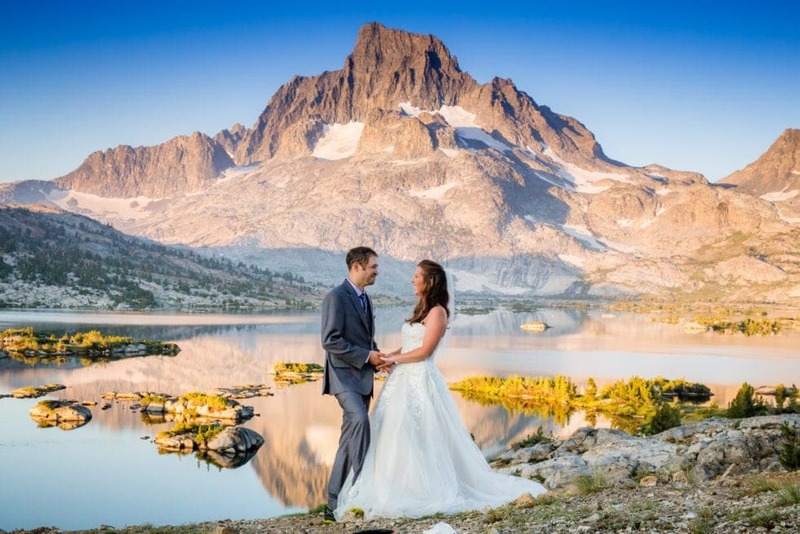 When Holly and Chris asked me to go backpacking with them to Thousand Island Lake for their wedding, my only answer was WHEN??? 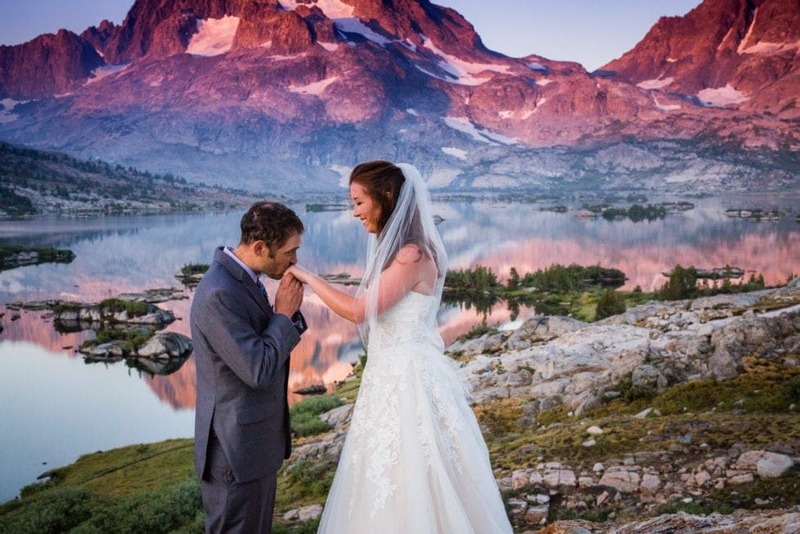 Holly and Chris are the ultimate adventure couple and their wedding was nothing short of epic. 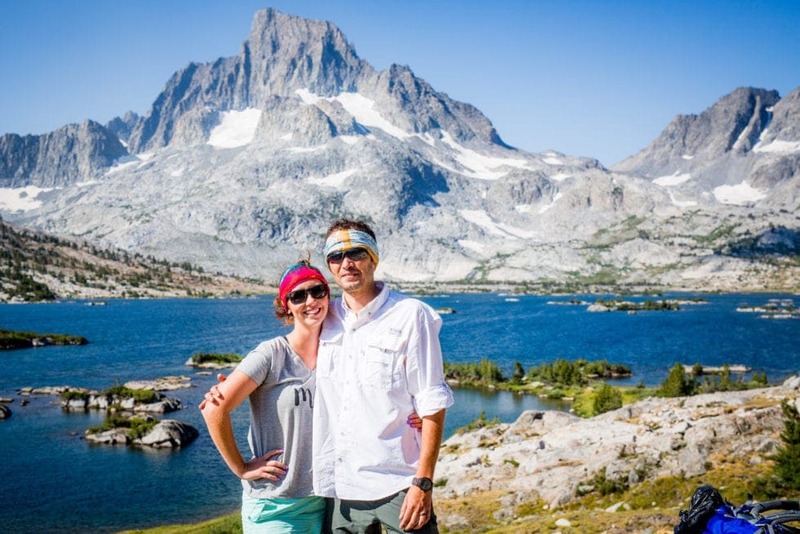 They road tripped from their home in Ohio out to California, camping and exploring the whole way. 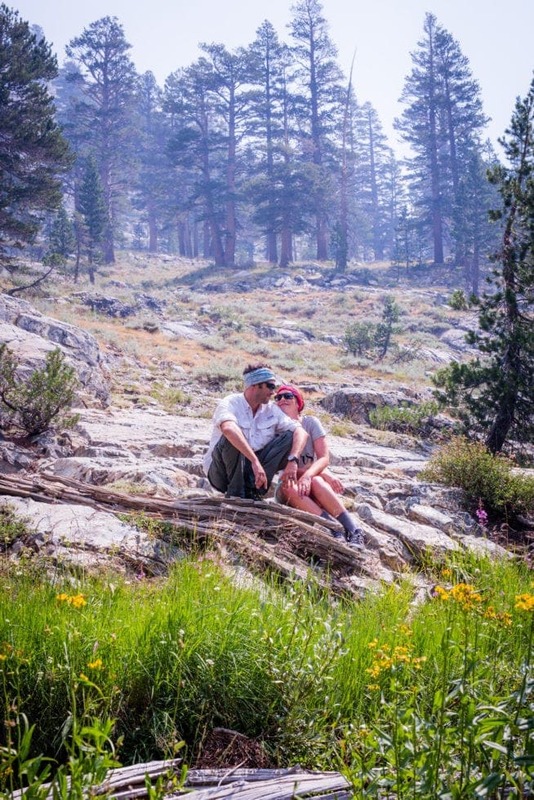 To say I wish I could have joined them for the entire adventure is an understatement – but they saved the best for last – and I couldn’t be happier. 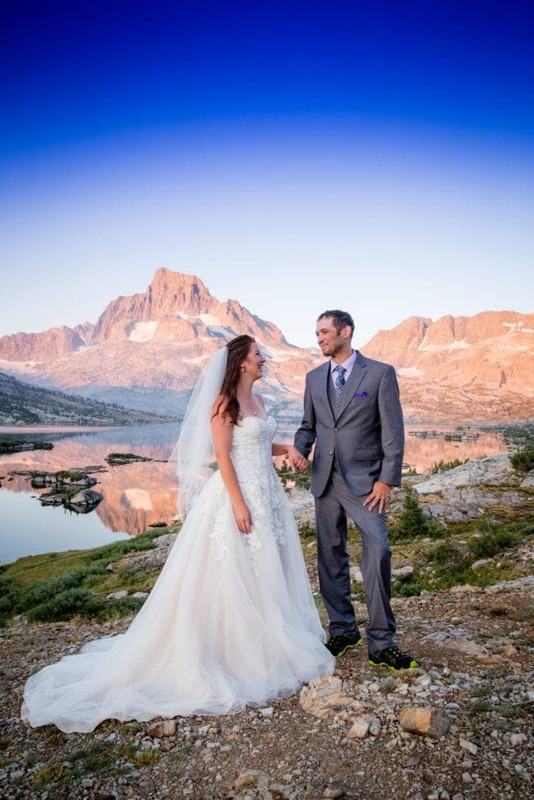 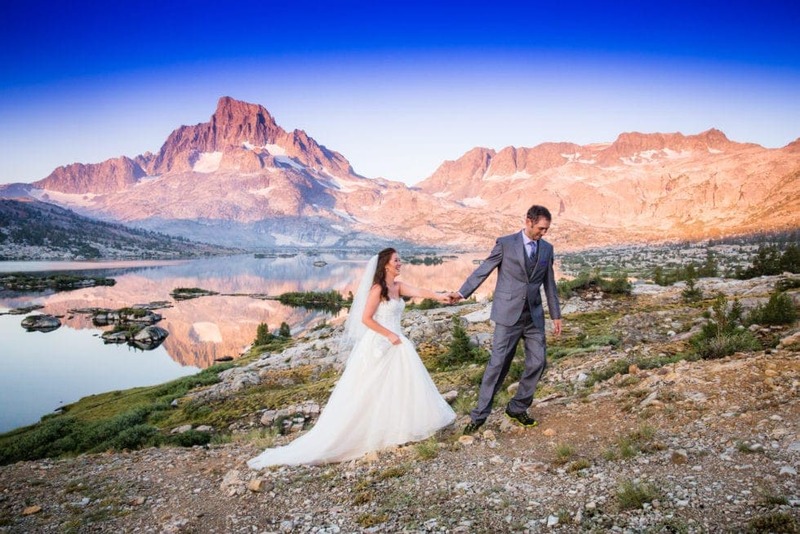 Not only did Holly and Chris want to backpack into their wedding at Thousand Island Lake – but they also wanted to do so via the High Trail out of Red’s Meadow (Mammoth Mountain California) – The high trail adds elevation on top of elevation and then treats you to some of the region’s most amazing backcountry views. 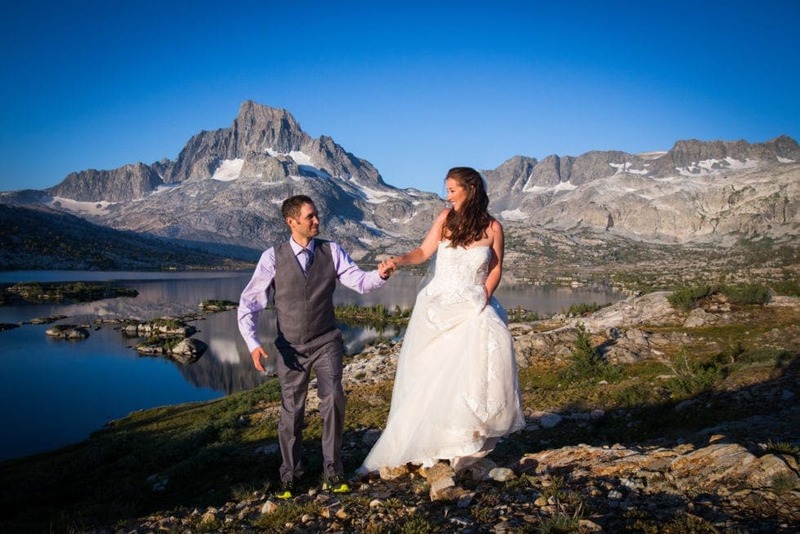 One of the most frequent questions I get from people about my adventure wedding couples is “how did they get their dress/suit with them into the back country?” – well… Holly and Chris packed their backpacking gear and then bungie corded their wedding gown and suit onto the outsides of their packs! 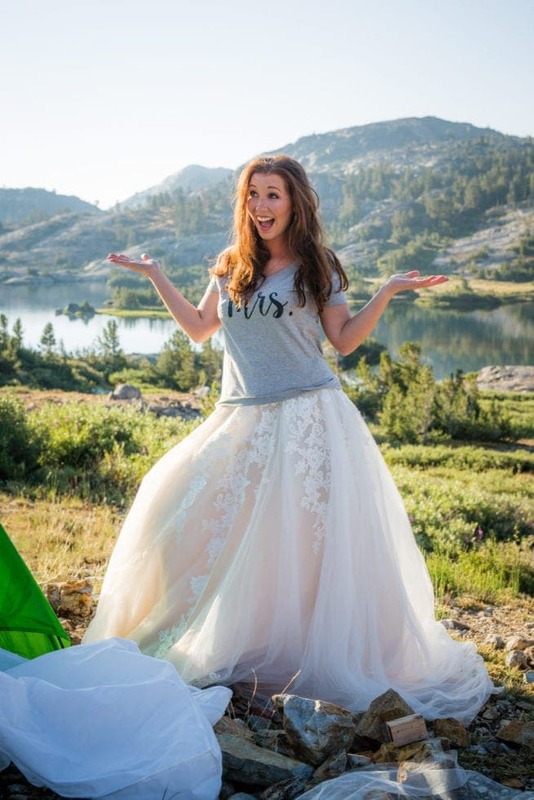 Not only did Holly carry in her dress, she also brought just enough makeup and supplies to make sure she looked her best for her wedding photos!!! 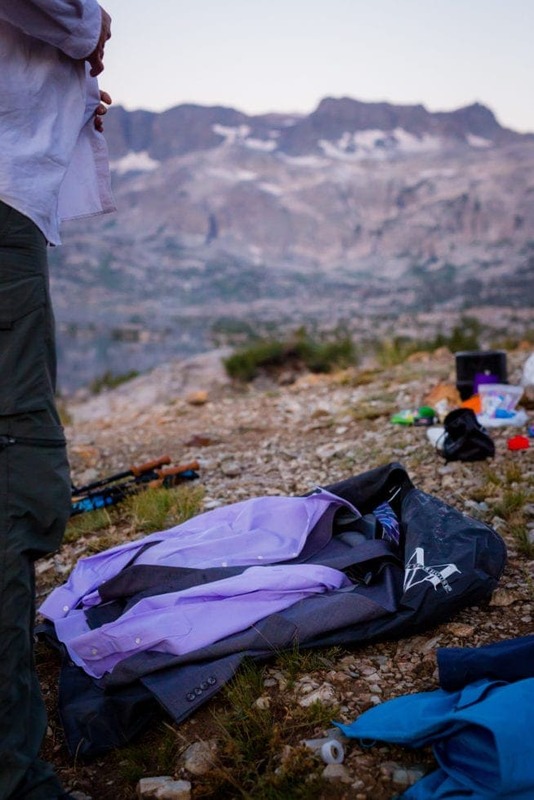 Thankfully the storms just stuck around for the afternoon and by the time we got to camp it was all clearing out and we were treated to a beautiful sunset. 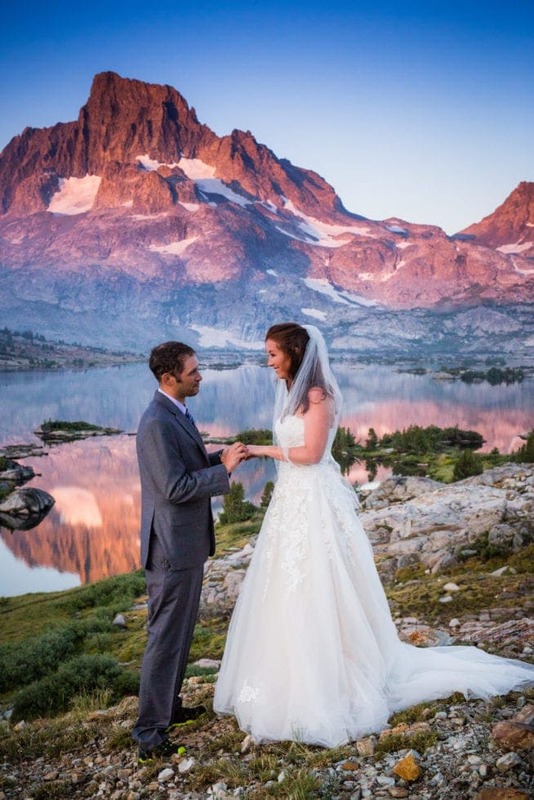 We woke up the next morning to the most beautiful purple sunrise lighting Thousand Island Lake for Holly and Chris’s wedding and vow exchange in the backcountry! 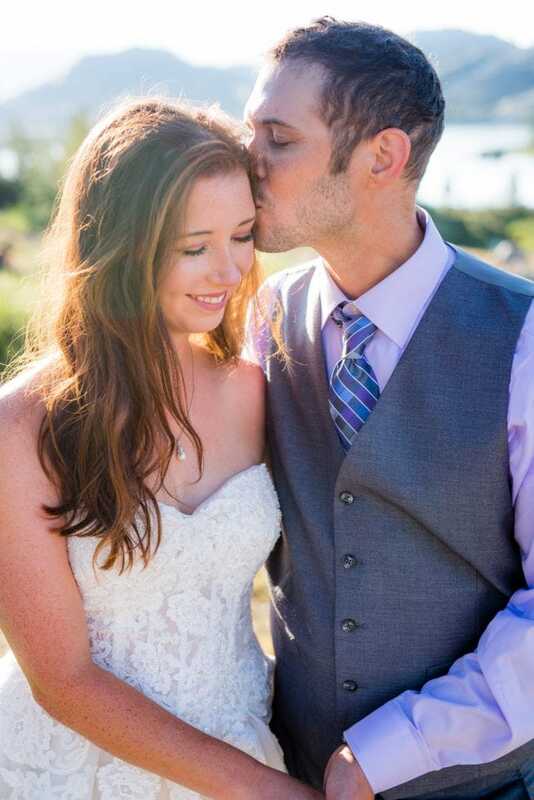 These two worked harder than any couple I’ve ever photographed to get to the perfect location and the perfect light!!! 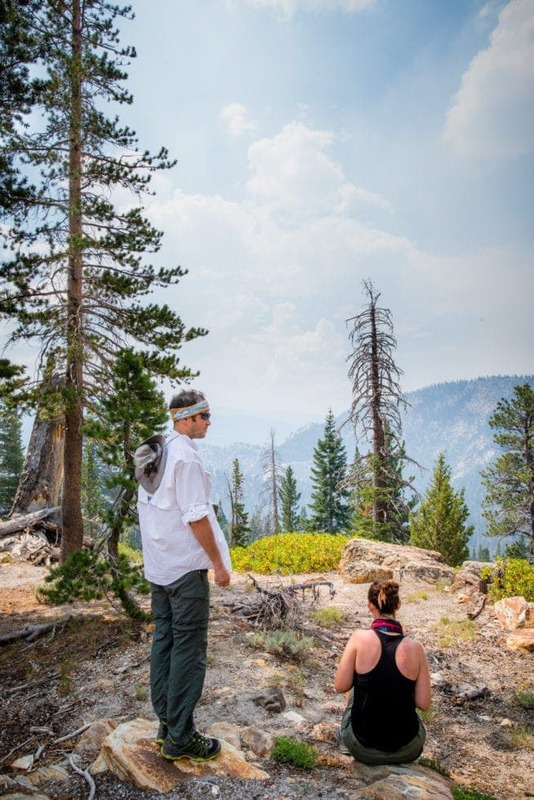 I just wish we’d of had 3 days out there together to explore and create more together. 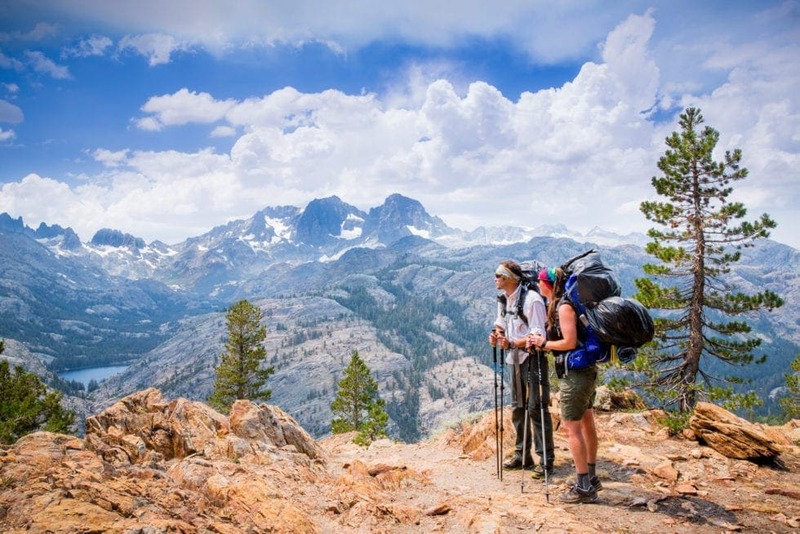 I can’t wait for our next adventure together!!! 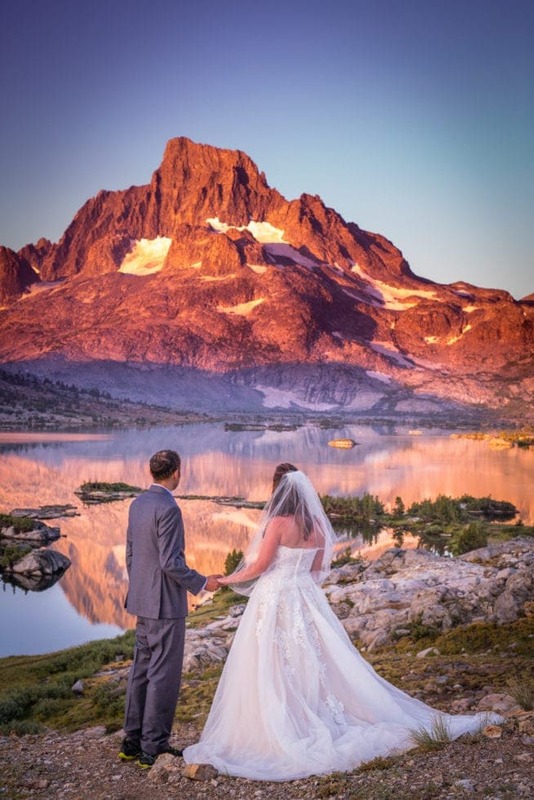 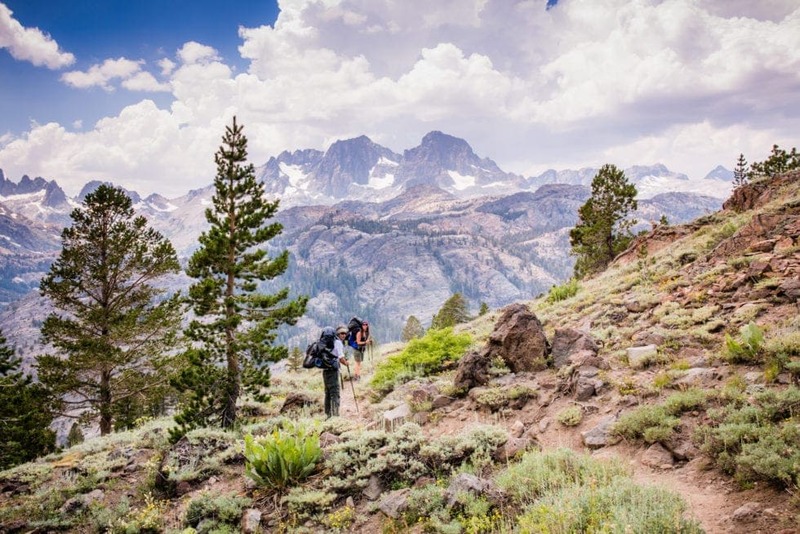 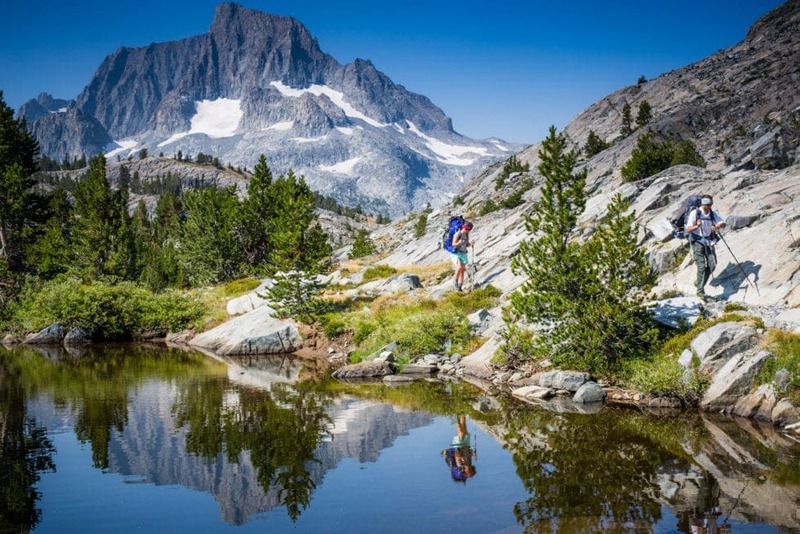 Immediately following their vow exchange overlooking sunrise at Thousand Island Lake – we then set off to backpack another 10 miles back toward Mammoth Mountain and Red’s Meadow. 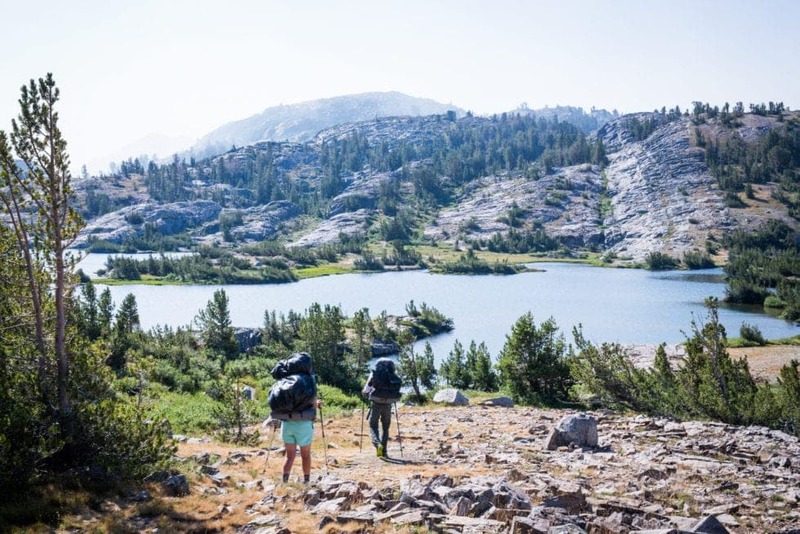 This go around, we opted for the lower elevation option which allowed us some alternative views from what we had seen the previous day, and also gave us the opportunity to stop on the side of the trail and jump in the river for a swim!!! 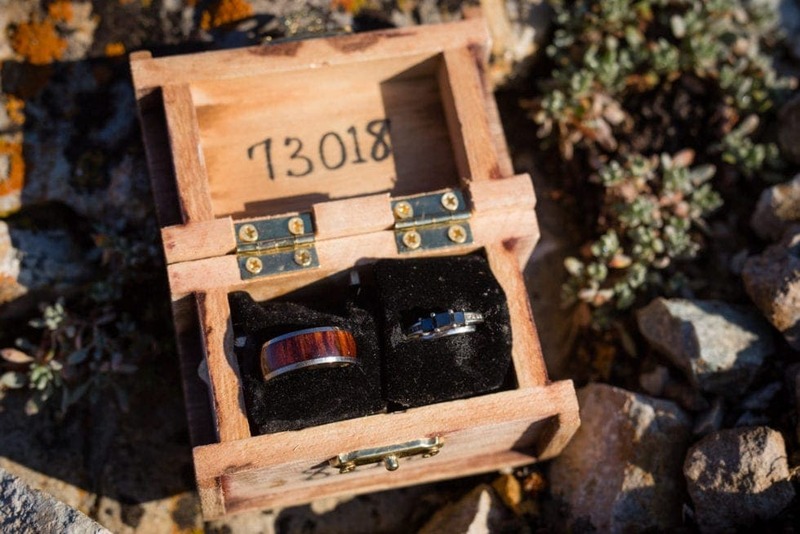 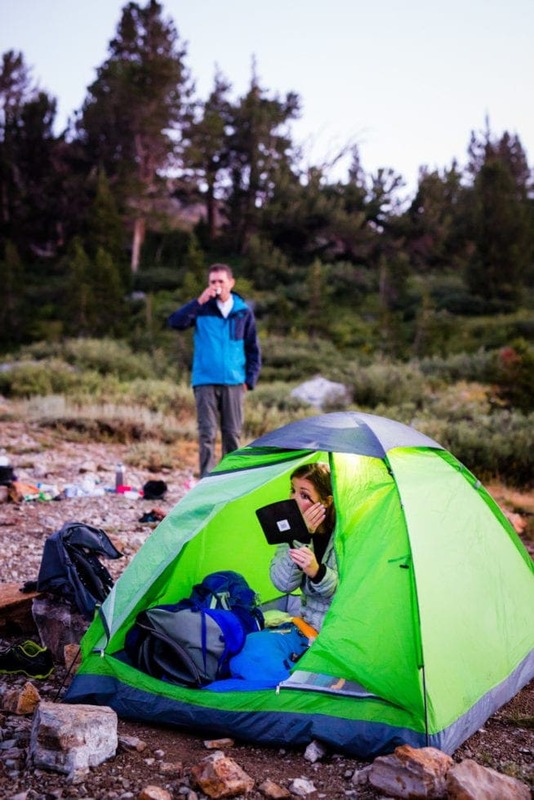 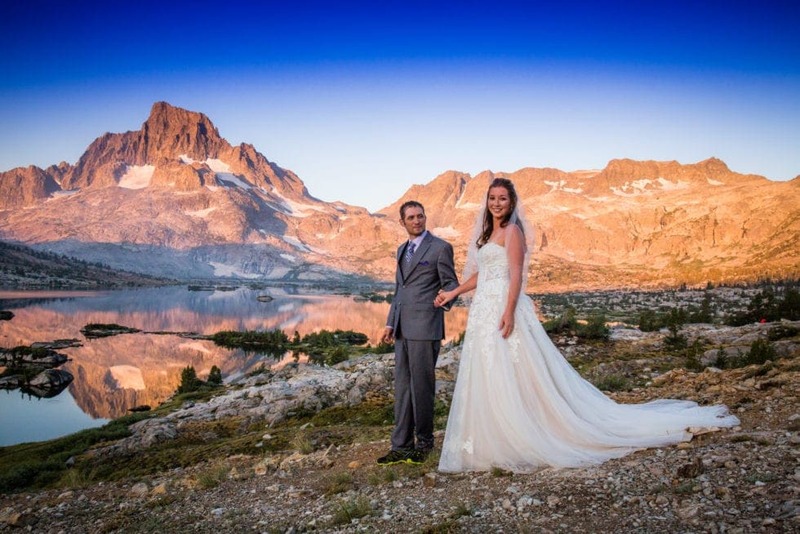 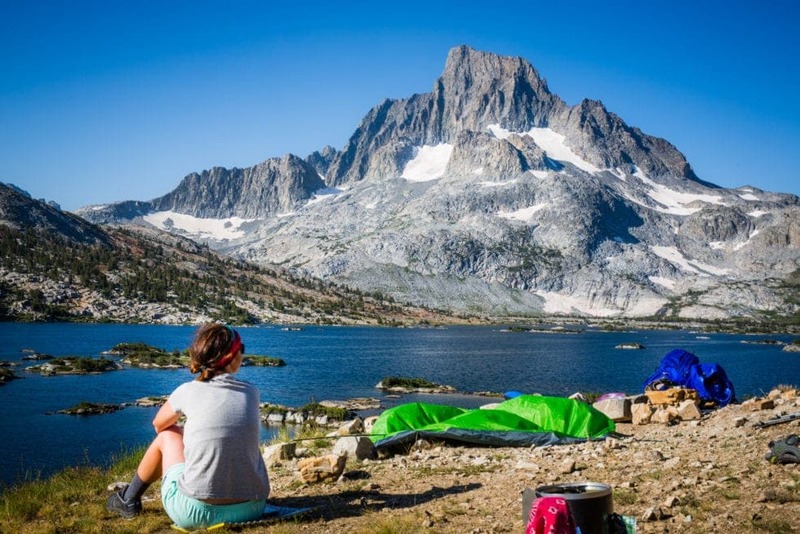 If you’re planning an Eastern Sierra Backpacking wedding – I’d LOVE to connect! 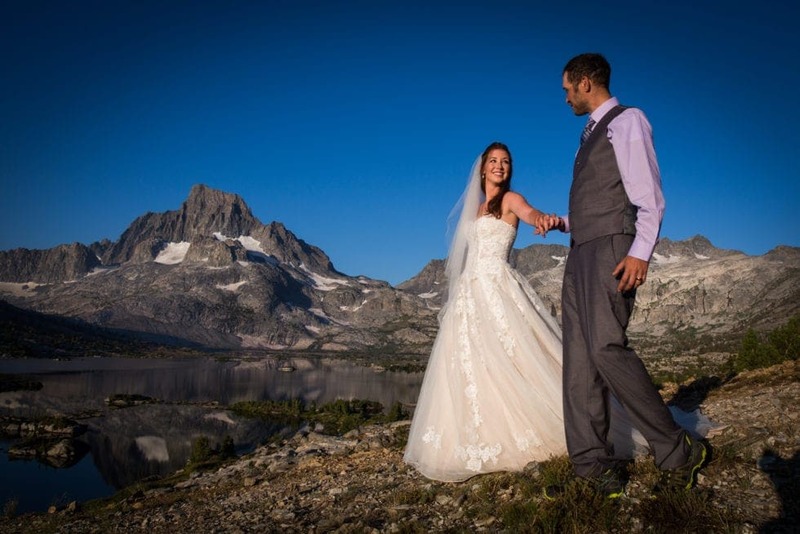 Use the contact form to let me know and let’s start planning your adventure wedding!